This is an article I never thought I would be writing, but life sometimes surprises you. Last season was good enough to qualify me for the 2018 World Championship, bringing me the opportunity to compete against the very best in the world for the second year in a row. Last year, reaching the finals was a very special experience for me, and I was very excited about getting another opportunity to play in this enjoyable tournament. Preparing a tournament like this is always a different animal to any other, but I simply used the same formula as last year: trying to work on the tournament preparation as much as I could. Easier said than done, I am aware. For this event, I decided to prepare it with Andrea Mengucci, Marcio Carvalho and Luis Salvatto as well as some other usual suspects like Anthony Lee, Jose Cabezas and my girlfriend. Draft testing was about refreshing all the old Dominaria concepts. Also, since the draft format is awesome, it wasn’t exactly boring to start drafting it again! 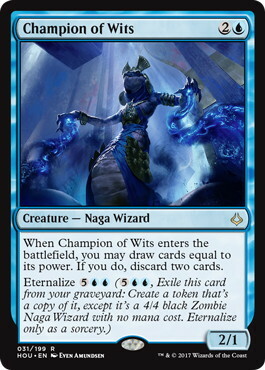 The fact that Wizards brought back leagues some weeks before Worlds also made things easier. After a few refreshing drafts, I tried to focus a little bit more on the less common archetypes. 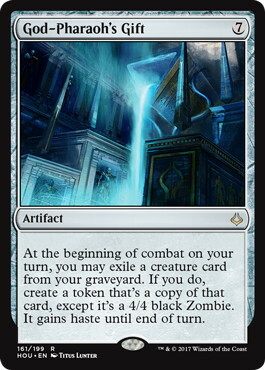 I think Dominaria has a bunch of build-around cards since it has many uncommons/rares that actually are almost archetypes by themselves. For that reason, whenever I had the chance to do stuff like “drafting 《The Mirari Conjecture》 deck” I just went for it. 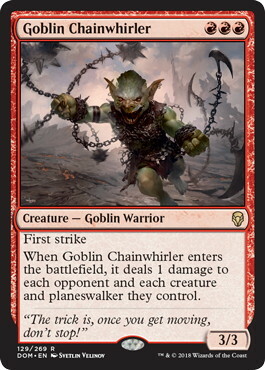 I think that’s even more important in a field where normal archetypes like UR Wizards are going to be harder to draft properly since all-around good cards will be scarcer on average. Standard testing was really about trying to beat BR with the different archetypes of the metagame. 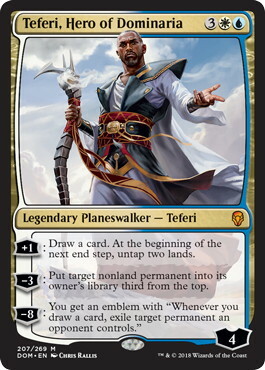 Early in testing, I just wanted to play 《Teferi, Hero of Dominaria》, since that was what I had been doing for the last months, but I just couldn’t make it work. Marcio early adopted a “bring whatever deck you think will beat BR and play against me” position. Needless to say, I did not success beating him with anything. Of course, I would have some very good game1s with some decks like UW control, but post-sideboard he would destroy me again and again. After trying pretty much everything, the only deck where I felt I had a decent matchup against BR was UB Midrange, a deck I spent quite a bit of time testing with. The problem with UB Midrange came when I started to play mirror matches against Anthony. It didn’t take long for me to figure out that he was outplaying me, and I also understood that any kind of mirror match I would play against a player at Worlds would likely result in a bad matchup since they were all very good. On top of that, I didn’t understand well the different layers on the mirror match, and that’s not a position you want to put yourself in. With UB out of my gauntlet, I had to lock myself into BR Aggro. By that time, The Spanish Nationals happened and I decided to run BR. A Top8 finish there gave me a little bit of extra confidence about playing the archetype. I found that small confidence boost quite useful since the whole BR Mirror testing process consisted of me being slaughtered by both Mengucci and Marcio. Oh, well, at least I managed to win some games against Luis, which was also busy playing GPs around the world trying to overcome Seth and Reid on the Player of the Year Race. Since it ended in a tie between Seth and Salvatto, there will be a tiebreak match. Well played! The week before the tournament, Andrea came to my place to test for a few days in his way to GP Stockholm. Most of that time was invested in just play mirror matches. We expected BR to be the most played deck by far, and we thought having a good plan in the mirror match would be the most important thing to figure out. 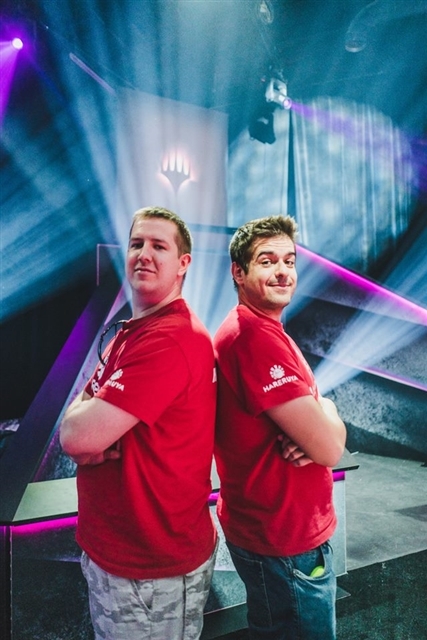 We were happy about the decklist going into the tournament. I decided to skip GP Stockholm the week before Worlds. While I do enjoy going to Grand Prix a lot, they are also quite energy consuming. After a weekend playing a GP, I often see myself only wanting to rest for a day or two. That’s not how I wanted to be the day I’d have to travel to Worlds. For that reason, instead of going to Stockholm I went directly to Las Vegas, making sure I was there enough days prior to the tournament to minimize the impact of the dreaded jet lag. Once in Vegas, it was time to craft the exact 75 and that’s what we worked on. I won’t go into small details since the deck is rotating, but I will briefly comment on the concrete changes we made. First, we chose to play exactly 0 《Unlicensed Disintegration》 and played 《Doomfall》 instead. We just thought 《Doomfall》 was a better card all-around. 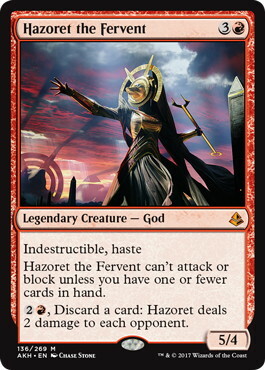 It was useful as an answer to cards like 《Hazoret the Fervent》 while it was also good against all the 《Teferi, Hero of Dominaria》 decks. It is a little bit risky to change cards like that when a deck is as stablished as BR was, but we just thought 《Doomfall》 was a superior card. Wyatt Darby also came to the same conclusion, since he also decided to play 0 《Unlicensed Disintegration》 in his 75. 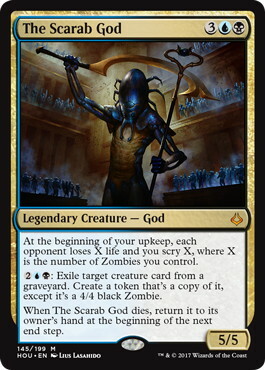 The other thing we did was rely more on 《Karn, Scion of Urza》. In order to reinforce our 《Karn》 count, we decided to play 3 in our 75. 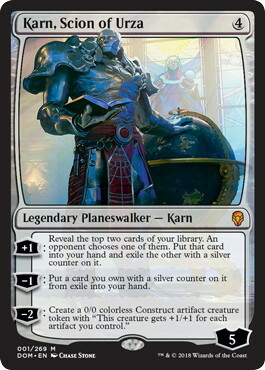 We thought 《Karn》 was so good in the mirror match that we wouldn’t mind drawing the second copy from time to time. The fact that there’s almost no way to deal with it without getting through all the removal made 《Karn》 the best card for the BR matchup. It was also quite decisive against control anyway, so it’s not like we were putting the 4th 《Chandra's Defeat》. 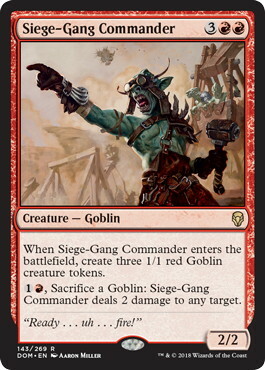 Also, we just couldn’t leave home without 《Siege-Gang Commander》, the captain of all the 《Goblin Chainwhirler》! While it technically happened on day 1, about 30 minutes before starting to play, Gerry Thompson announced that he wouldn’t be competing in the tournament. Inevitably, everyone was talking about what happened. I have a lot of respect for what Gerry did, and I hope it makes a difference. You are the best! There was also some noise about what happened with the table draw. Apparently, Gerry was going to be on the featured table and there were some adjustments about how the tables would be distributed after he made his announcement. I don’t fully know the details, but I’m overall against anything that affects the tournament integrity. Anyway, at that point I realized the best thing I could do at that time was just focusing on the tournament itself. Opportunities like playing Worlds are very unique, and I just tried to make sure I wasn’t thinking but putting my focus on the competition. 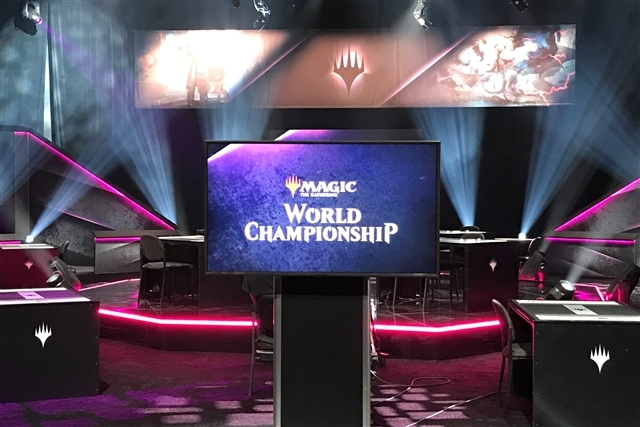 I really like the fact that Worlds is played with public decklists. Not having to worry about hiding information allows you to center on playing the games of Magic. It also makes the whole experience much more relaxing, since you don’t need to be concerned about hiding information. 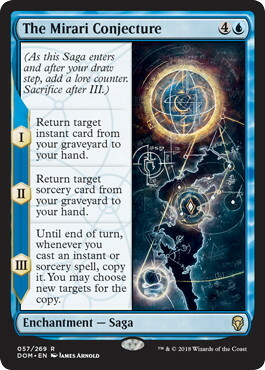 I get that some Magic is lost because of the extra information, but it also adds another whole level of thinking when it comes to sideboarding, so I think those factors balance each other. I’m a big fan of open decklists for both Limited and Constructed. Some minutes after the GerryT shock, we were already sitting down and ready to draft. I started my draft with 《Phyrexian Scriptures》, one of the build-around cards on the set, on a similar vein as 《The Mirari Conjecture》. 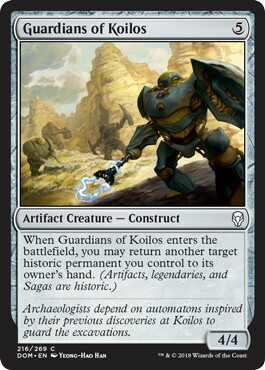 While 《Scriptures》 doesn’t exactly need a lot of support to be good, it gets much better if you pair it with certain cards like 《Guardians of Koilos》. 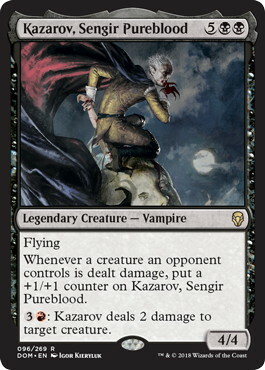 After I got passed 《Kazarov, Sengir Pureblood》 I tried to draft a full control deck based on 《Scriptures》 and relying on the legendary vampire to finish the games. 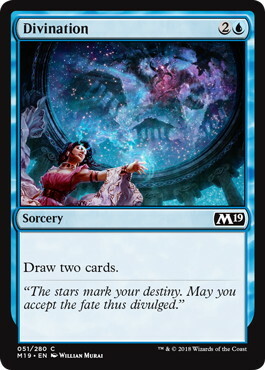 I prioritized cards like 《Divination》 and 《Soul Salvage》 to ensure I was going to be able to win the late games against most decks I could play against. The deck didn’t look pretty, but it was actually quite good at doing the control thing since I had 3 《Divination》 and 2 《Opt》 to dig for my keycards. 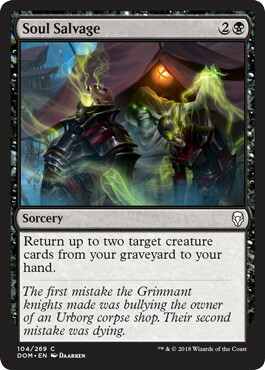 One thing about Dominaria draft is that traditional limited “rules” can be bended, and by a lot. You don’t really need to play a high creature count or be overly worried about needing to play your creatures on the curve. In many matchups, actually, I often prefer to put my opponent on the play. 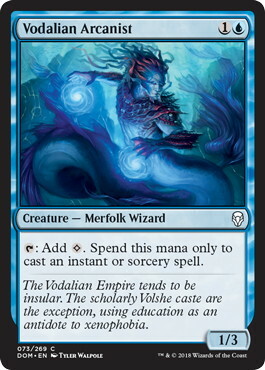 In Dominaria, some very good decks with only 5 or 6 creatures can perfectly happen. I escaped the first draft with 2-1 after losing the finals to Mike Sigrist, who had a very strong UW historic deck. 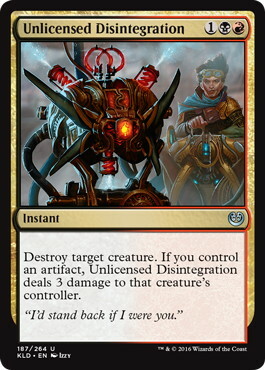 It was time for Standard! After that, I went 4-0 with RB Aggro. When you go 4-0 in a field like that, it’s usually because things really go your way. After beating Grzegorz Kowalski in the last round in a game was convinced I was going to lose, I ended the first day with a 6-1 record, sitting on the 1st place on the swiss standings. Going into the Day 2 draft with such a good record, my first priority was making sure I didn’t draft an atrocious trainwreck unable to win games. The goal was clearly to avoid a 0-3, and if possible, avoid the 1-2 as well. 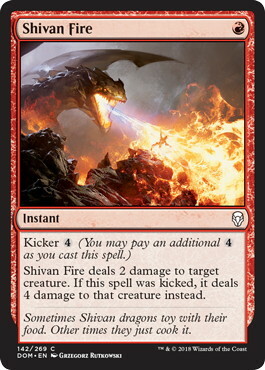 Starting of two 《Shivan Fire》, I early picked a 《Skizzik》 and relatively soon it was clear that red was quite open. 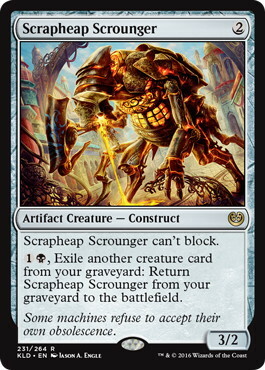 I’m not very happy drafting aggressive non-white decks in Dominaria, but you have to draft the cards that come to your seat. While navigating through the draft, I noticed my average card quality was relatively low. Now, that doesn’t always mean you’re doing a bad draft, but if you are passing better cards than the ones you are picking, it is something to be worried about. What I tried on that situation was focusing on synergy. 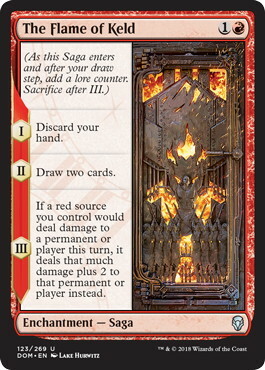 Sitting on a pile of fast red cards and a 《The Flame of Keld》 going into pack 2, I decided to 2nd pick a 《Run Amok》, which I identified as a critical for how my deck was starting to shape. Some minutes later I ended with a Monored Wizards deck splashing blue for 《Adeliz, the Cinder Wind》, 《Naban, Dean of Iteration》 and 《Vodalian Arcanist》. 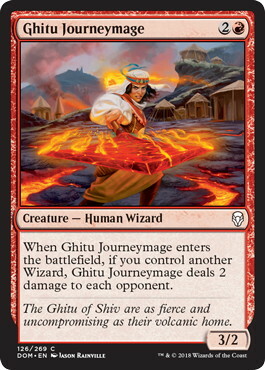 With 2 《The Flame of Keld》 and 4 《Ghitu Journeymage》, I expected to be able to do some direct damage to my opponents. 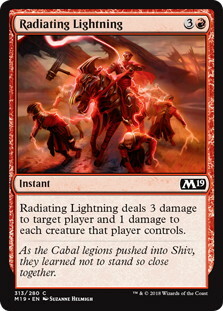 On the same line, I also decided to maindeck a 《Radiating Lightning》. 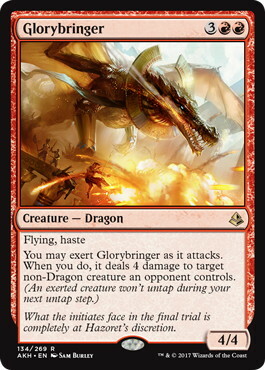 While this instant is usually a sideboard card, it plays well with 《The Flame of Keld》. Also, effects that do damage to players stack quite well with themselves. This deck was out of my comfort zone, but it ended overperforming. Sometimes cards like 《The Flame of Keld》 that are almost unplayable can become true powerhouses, and this was one of those situations. I wasn’t expecting a 3-0 with that deck, but it happened. After the second draft I was in a very good position to make Top4, so I was mostly playing for seed and Pro Points. They still were important matches, though. I beat Darby and lost to Allen Wu in a close match. After that, I played Shahar Shenhar, who was playing UW Gift. I had played a lot of mirror matches prior to the tournament but I almost had no test against their Gift deck, so I mostly had no idea how to approach the matchup. I got crushed leaving the table with the feeling that there was not much I could do. On the last match, I beat Ben Hull who mulliganed down to four cards in game 1. After the Top4 was set, I was told I was going to play my semifinal match against Shahar Shenhar. 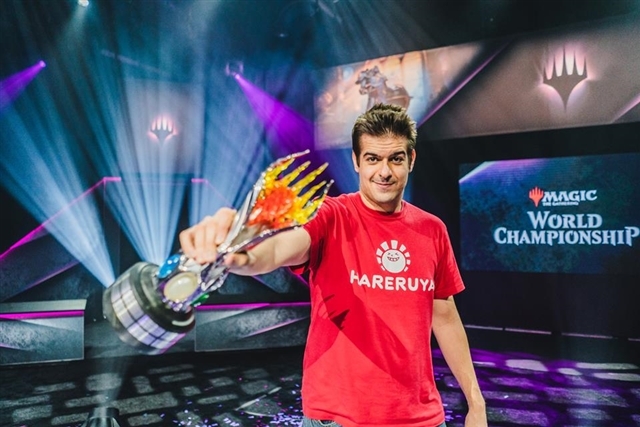 I asked my former WMC Teammate Pedro Lechado about the Gift vs BR matchup since he played the deck there and he has been playing the archetype for the whole season. He confirmed the bad news I already knew: our RB version was quite bad against their deck. I also asked Anthony to schedule a few games for Sunday Morning on Vegas time, before the Top4 happened. Day 3 started early; I had some work to do. Luckily for me, there was the Team Series Finals so that means I had some extra morning hours to work with. The first thing I read in the morning was that, while I was sleeping, future Hall of Famer Lee Shi Tian and Anthony Lee (many Lees!) had been playing the BR vs Gift matchup and came to a few conclusions after trying different approaches. This is something I didn’t even ask for and it certainly was really helpful for me. I’m very lucky to have such great teammates and friends supporting me like that even in tournaments where they are not even playing. After reading about what they concluded, I was ready to battle the matchup for 1-2 hours. While I will never know if that changed the result of the Top4 match, I realize it dramatically changed my confidence for that match. I wasn’t clueless anymore; I had a plan. After testing a few matches, I also felt the matchup was way more winnable than what I thought after playing against Shahar during the swiss. After a close semifinal match, it was time for one more magic battle. This time, my opponent would be Grzegorz Kowalski. Kowalski is a very good player that has been consistently doing very well on tournaments this year so I knew he would be a tough nut to crack. The matchup was the mirror match, so at least I felt comfortable playing it. This was a very intense match. While we were shuffling for game 5, it felt like as if time was going to stop. Luckily for me, his deck didn’t operate well and missed the 4th land drop forever while stuck on a bunch of cards he couldn’t play. It wasn’t exactly the most beautiful Magic game I’ve seen, but it didn’t matter. I had just become World Champion. After that, I felt an uncontrollable burst of emotions I didn’t expect. Seconds after, my main concern was just properly breathing. It is ironic how priorities can change so fast. 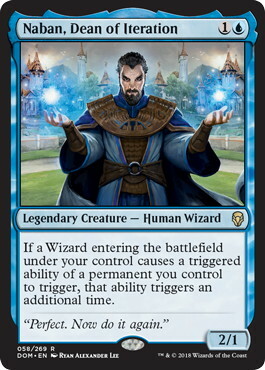 One second you are playing a very important Magic match, and the second after all that matters is something completely different. After I managed to stabilize my breathing, then it was all happiness. Apparently I also couldn’t stop myself from de-sideboarding. I couldn’t believe it. I’ve always considered stuff like being the World Champion to be out of reach for someone like me but turns out it isn’t. Enough work and luck can take anyone there and I am the living proof. I’ve heard drinking a lot of water helps too. I’m still amazed by all the support I’m receiving from a lot of people. It’s been a weekend full of emotions and I still can’t believe what happened in the tournament. I want to say thank you to everyone that helped or supported me in one way or another! The truth is, I don’t really know. 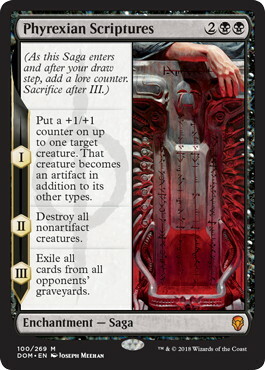 The first Magic-related thing I want to do is get my hands on Guilds of Ravnica. I purposely didn’t want to see any spoilers before Worlds to keep my mind focused, so now it’s Christmas time for me. 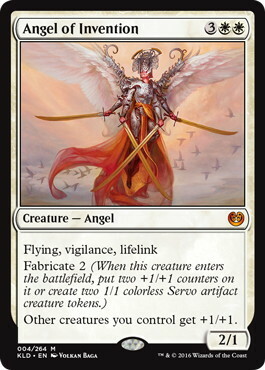 For Constructed, there are a bunch of new Boros cards I want to explore, like 《Integrity+Intervention》. 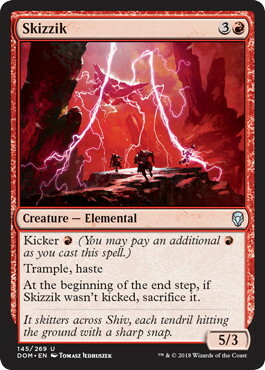 I like when combat tricks are playable in constructed. About Limited… I’m very likely going to launch a Magic Online sealed as soon as I submit this article ^^ After that, there’s always another tournament. And I will be there trying my best once again. 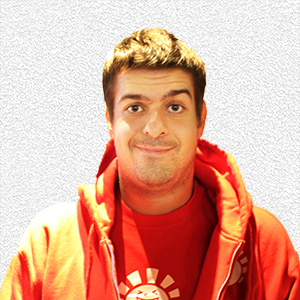 He is the representative player of Spain. 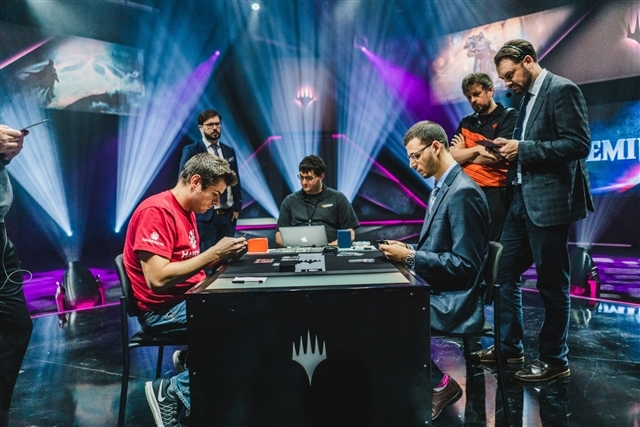 Grand Prix Top 8 is six times, including won the Grand Prix Paris 2014 and Grand Prix Rotterdam 2016 winning victories. 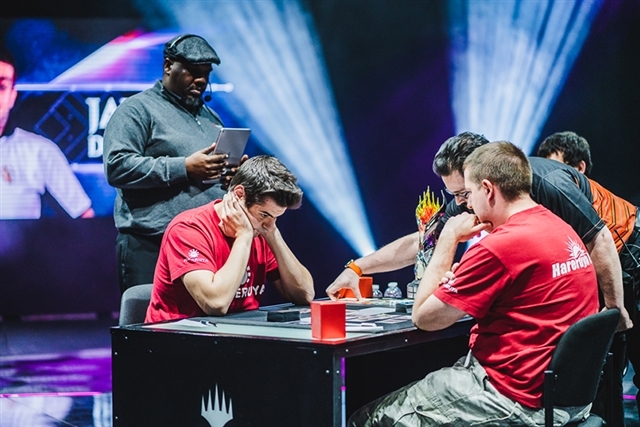 At the Pro Tour level, he has brilliant achievement such as winning the 9th place in Pro Tour Battle of Zendikar and Pro Tour Hour of Devastation, and finally top8 in Pro Tour Rivals of Ixalan. Breaking! 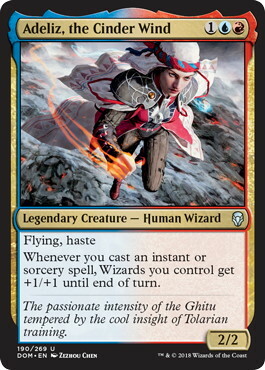 3 New Hareruya Pros! / New Team: Sword and Axe! Breaking News! 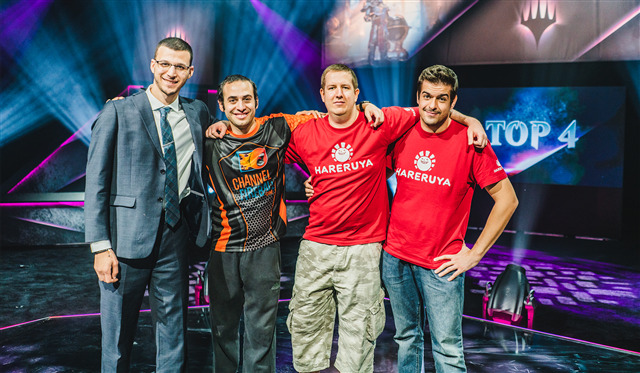 6 new members of Hareruya Pros and their new team!